This is a personal blog, written and edited by me. 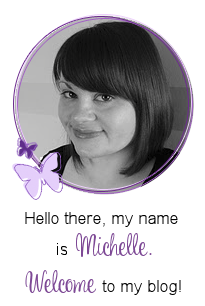 All content including text, photographs and design work are © Michelle Short 2007-2019. All rights reserved. These designs are shared for personal inspiration use only. Designs may not be copied for the purpose of publication, design team work, contest submissions or to gain profit. I am happy for you to CASE (copy and selectively edit) my work but it must be credited back to me and a link must be provided to my blog. Thanks for your support! 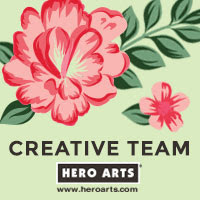 I currently design and make cards and/or videos using products provided to me as part of being on the Clearly Besotted Design Team and Hero Arts Creative Team. If I am guest designing with a company it can be assumed that I have received product to use for that purpose but they will be marked with an asterisk (*) on supply lists. I do often purchase products myself to work alongside those products provided to me, for guest design spots, these products will not be marked. I occasionally receive products from other companies for use on my cards to promote products outside of guest design work. I am not compensated financially to do this and I will only promote the products and/or a company if I like the product, it is of high quality and I will genuinely use it. I am under no obligation to do so, unless I want to. These products will be marked with a asterisk (*) on supply lists as well. All opinions expressed on this blog, any of my social media platforms and in my You Tube videos, are my own and they will always be honest. I am a participant in the Amazon EU & US Associates Programme, an affiliate advertising programme designed to provide a means for sites to earn advertising fees by advertising and linking to www.amazon.co.uk and www.amazon.com This means that if someone clicks on the link I have used and subsequently purchases from it, I will get a small referral fee, at no extra cost to you. Amazon and the Amazon logo are trademarks of Amazon.com, Inc or it's affiliates. I am also a participant in the following affiliate programs - Clearly Besotted, Hero Arts, Simon Says Stamp, Reverse Confetti, Altenew, CraftStash, Artist Papers, Sunny Studio, Honey Bee Stamps, Neat & Tangled, Studio Katia, Spellbinders, MFT Stamps, Pink & Main, LinkDeli, Picket Fence Studios, Concord & 9th, Tonic Studios USA, Cricut US and Blitsy. This means that if you click on any of my affiliate links and subsequently make a purchase, I will receive a small commission at no extra cost to you. Finally, I am also a participant in the Jackson's Art Affiliate Programme. This means that if you click on one of my links and subsequently make a purchase, I will receive a small commission of store credit, at no extra cost to you. I really appreciate your support when using these links. Any commission I receive goes back into The Card Grotto to create more blog content, reviews, videos and giveaways. I do not personally set cookies on this blog. Any cookies set, is by Google or third-party services, they also collect data from you. I do, however, receive data from you personally when performing giveaways. If I ask the winner for their details (address, email address etc. ), after using it for the purpose of the giveaway, I will delete/destroy any information (sent to me electronically) securely and within a 30 day time-frame. If any data is written down, this will be destroyed securely, again within a 30 day time-frame. I have a personal pop up banner in addition to the one that Google has provided me. Please read this banner carefully, by removing it, you are consenting to allow any third-party services I use on this site to collect data and cookies. You can read how they use that data in their privacy policies. They are either linked below or in my full Privacy and Cookies Policies. Although I have changed all of the You Tube videos that are embedded in my blog posts to not submit cookies, I have kept this in my Privacy and Cookies Policies, in case I have accidently missed one or if Google uses any cookies for this purpose that I am not aware of. I have also switched off Google Analytics, but I believe that since my blog is part of the Google platform, Google still uses Analytics on this blog (of which I am in no control over). Hi Michelle! Love your videos!